The dangers of smoking have been well-documented, and even the dangers of secondhand smoke have been widely explained and accepted. But, have you heard about third-hand smoke exposure and the serious complications and illnesses it can cause? Smoke that settles onto surfaces can be ingested by kids—either by inhaling the smoke or putting items into their mouths that have been contaminated with toxins–according to the pediatricians at HealthyChildren.org, causing illnesses like pneumonia, bronchitis, ear infections, or Sudden Infant Death Syndrome (SIDS). “It is important to understand that opening a window, sitting in a separate area, or using ventilation, air conditioning, or a fan cannot eliminate secondhand smoke exposure,” said the experts at HealthyChildren.org. 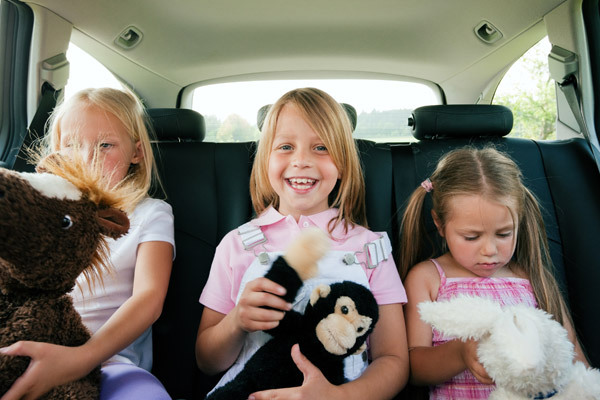 In order to establish a smoke-free car, the pediatricians at Healthy Children.org advise that no smoking should happen in a vehicle that children ride in—not even one time with the windows down—and all passengers should abide by the no smoking in the car rule. If smoking is still a necessary part of your life, try smoking at times when your kids are not with you, and remember, no smoking in the car, even if the kids are not in the vehicle. Other expert tips for establishing a smoke-free car include filling the car’s ashtray with coins, storing your cigarettes in the trunk of your car, and keeping a cellphone charger plugged into the car’s adapter outlet. “If you cannot quit smoking, it is important to maintain a smoke-free environment in areas where children live or play,” said the experts at HealthyChildren.org.